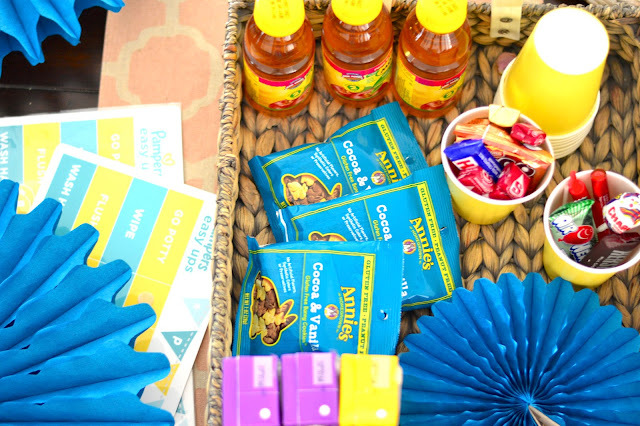 As you guys know if you follow me on Insta I had a Pampers party at my house over the weekend! 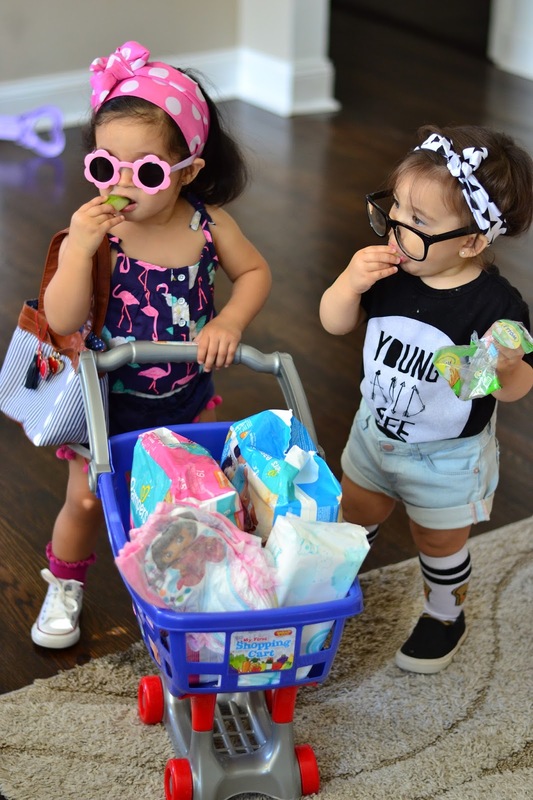 It was such a sweet time, I invited my niece and her brother (but the boys, wanted nothing to do with the "little kids"lol) and we had such a fun time, the girls danced, played and best of all we exchanged mommy tips and ideas on what has worked for us when it comes to potty learning! As you all know Emme is just about 16 months and Ben, well it's been over 3 years since I trained him to use the potty. And for today's post I am sharinmy potty-learning tips. I know that sometimes this huge milestone can get frustrating, trust me, which is why I am going to share tips on how you can help your little one ease into this new stage of their little lives. First things first, now that Emme is almost ready to start the potty training process, I am already equipped with Pampers Easy Ups. I love that they are like undies and they never leak. 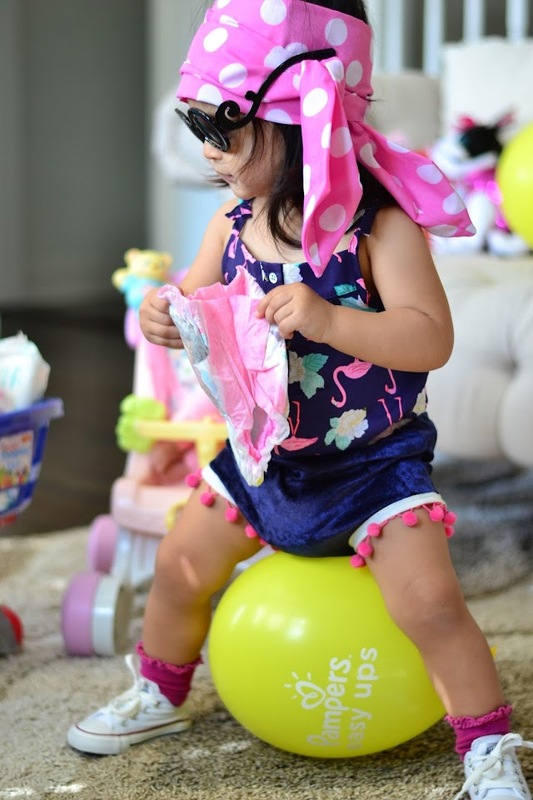 Your child will feel like a big boy or girl, Emme loves trying to put them up herself. 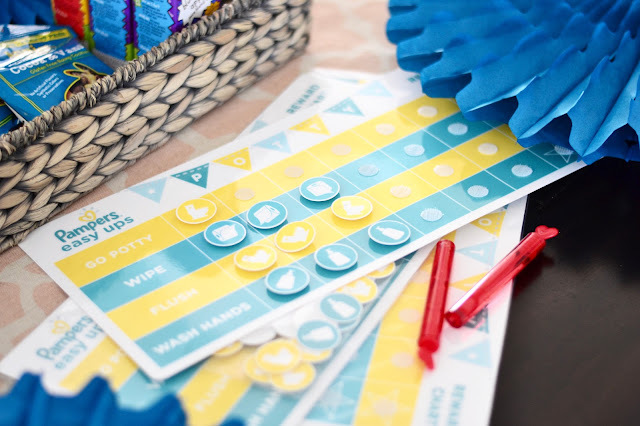 Which is a great tool for potty learning. You will know when your child is ready, they start squatting when they go, they may hide in a corner, these are signs to look for. Next, I would set up a reward system, with Ben this worked wonders, kids love treats and we would reward him with bubbles or cookies whenever he used the toilet. Having a point system, say with, stickers is fun too! In my case, I didn't use a separate potty chair and I'll tell you why. In my opinion it is just double the work. You are training them to use the potty chair and then you will have to teach them again to use the actual toilet. So I went with the kids toilet seats and for me it was easy breezy and just trained Ben with one step. Of course, since they are small you will need to get a stool and help them at first but you will see how smart your child is and how fast they catch the grip of things at this age. Once you are equipped with all the things you need, then comes the fun part! Aside from my tips and idea, gear and Pampers Easy Ups, one of the main things you will need is PATIENCE. Not all kids are the same so don't compare your baby to others... they all develop differently so don't fret if he or she doesn't catch on so easily. So many people warmed me that boys were hardest to train. But Ben learned how to go in just one weekend... it was Thanksgiving weekend I will never forget. I chose to do it on a long weekend so that we would be consistent daily and didn't have any accidents outside of the house. I totally recommend this... it's really less stressful. Remember to be extra cheerful when your child uses the toilet! They love the encouragement and feel as if they just did the best thing in their lives... which at this age, they did! Potty learning is a huge step in a child's life, it's their first step into independence. Always, remember accidents happen and you will be cleaning up messes and that's ok. I remember on the first day of potty training with Ben, it was about 7pm and I was losing hope that he would catch on. But by 8 o'clock he went all on his own and we were extremely excited... I will never forget that day. Whatever your potty learning story learning will be, take it one day at a time. I got really lucky with Ben but let's see what it will be like with Emme. Not all kids are the same and I am already saving a lot of patience for this big next step in her little life. Good luck! I would love to hear your tips too so if there's something I didn't share please feel free to comment below. This post is sponsored by Pampers. As always all opinions are my own.